Welcome to my new “Women of Worth” series, an ongoing collection of posts focused on the lives of fabulous and brilliant female artists and authors of times gone by. Each post will go up roughly around the time of each woman’s birthday and will give you a little info on who she was, when and where she lived and why she’s important. Plus, just because it’s fun, what she would have worn and had to drink on a modern girl’s night out! First up, is Artemisia Gentileschi, a Baroque Italian artist from the 17th century known for her intuitive and dramatic portrayals of female characters and heroines. Imagine the year is 1616, Florence, Italy. The most esteemed artists of the day are Caravaggio and Rubens: the Baroque is in full force. 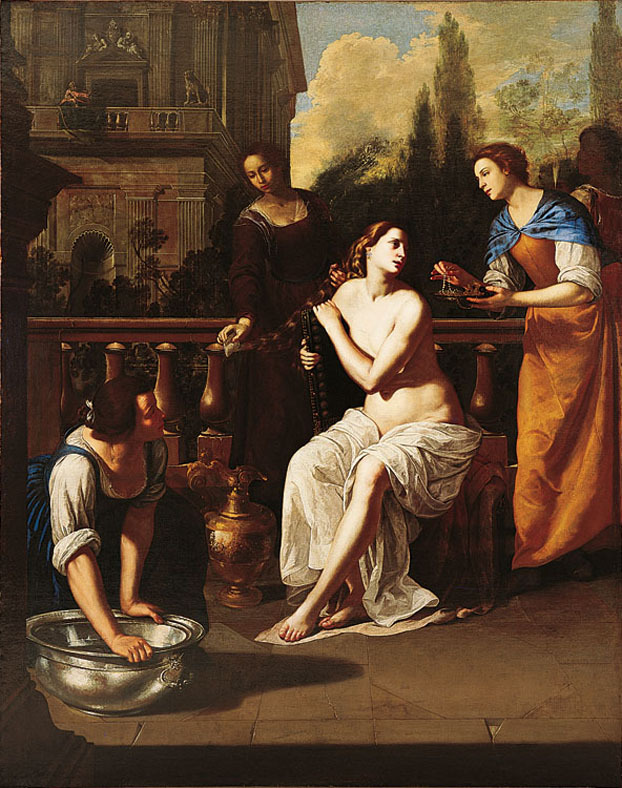 The art world is not considered a place for women, and yet, Artemisia Gentileschi, daughter of the artist Orazio Gentileschi, becomes a force to be reckoned with, the first female member of the Accademia di Arte del Disegno in Florence. 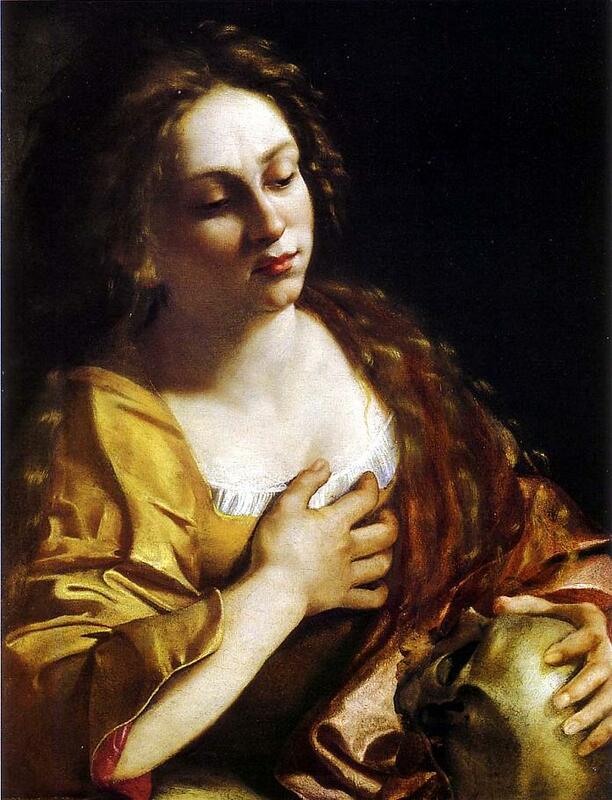 Artemisia led a troubled and tragic life that has often captured the imaginations of later generations. But the most important element of her story is that she was able to overcome the pain of her youth to become a well-respected and notable artist despite the prejudices of the time she lived in. Her paintings are intense and feature the characteristics of those inspired by Caravaggio: deep shadows, chiaroscuro and dramatic movement. But most interestingly, most of her paintings feature women, such as Judith and Susanna from the Bible or mythological and allegorical figures. She’s from a time of lavish decoration, of corseted ladies, the Catholic Counter-Reformation and a continued flowering of the Florentines. What does that translate into in modern fashion? Perhaps this elaborate baroque patterned sheath dress and an over-the-top jeweled cross. Plus, I think these lace-up peep toe booties look like just Artemisia’s style: she’s secure in her femininity but you also probably don’t want to mess with her. Cheers to Artemisia; happy 421st birthday!